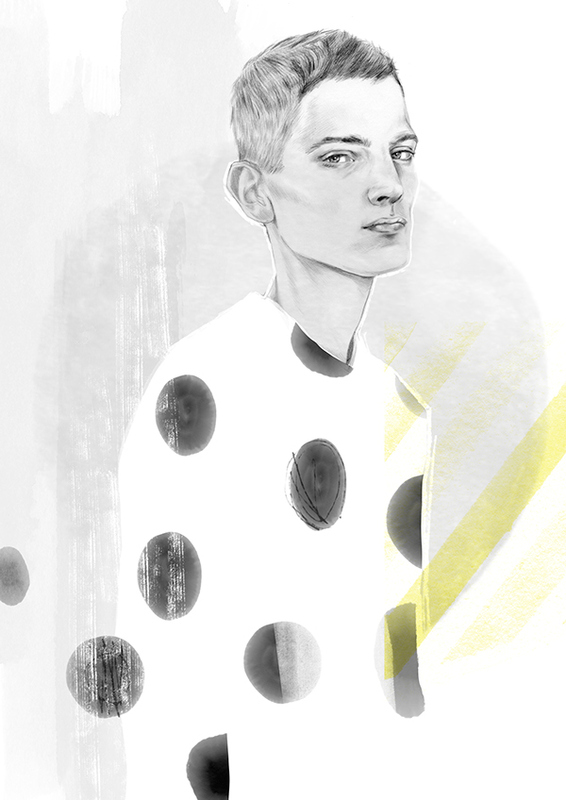 INSIDE OUT- Fashion Dreams on Paper exhibition, Magma Books, 29 Short Street, Covent Garden, London. 7TH JULY - 8TH AUGUST 2016 FEATURING: Lucy MacLeod / Erin Petson / Jason Brooks / David Bray / Helen Bullock / Fiona Gourlay / Tracy Turnbull / Amelie Hegardt / Tina Berning / Petra Borner. 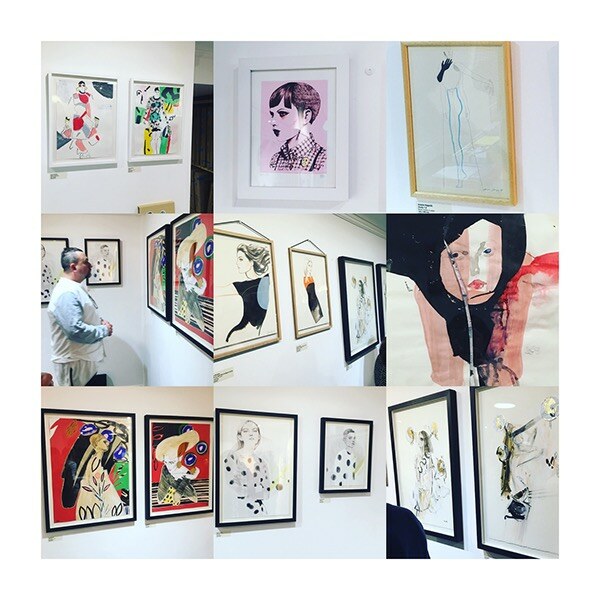 Ten prominent fashion illustrators (all but one British and UK based - Tina Berning lives and works in Berlin) have joined creative forces to exhibit a powerful new collection of original works on paper at Magma in Covent Garden, London from Thursday 7th July until 8th August. 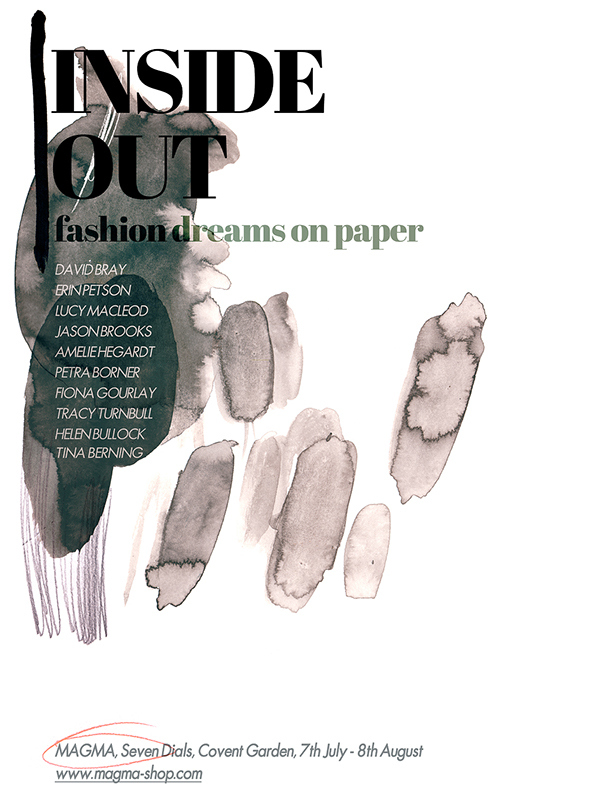 Co-curators (and featured artists) Erin Petson and Lucy MacLeod, were inspired to organise the exhibition titled 'INSIDE OUT- Fashion dreams on paper', following a visit to the Hilma af Klint exhibition at The Serpentine Gallery in May. As Lucy MacLeod puts it- 'All ten illustrators are exciting in different ways and possess unique strengths but we all have one common interest - juicy linework... 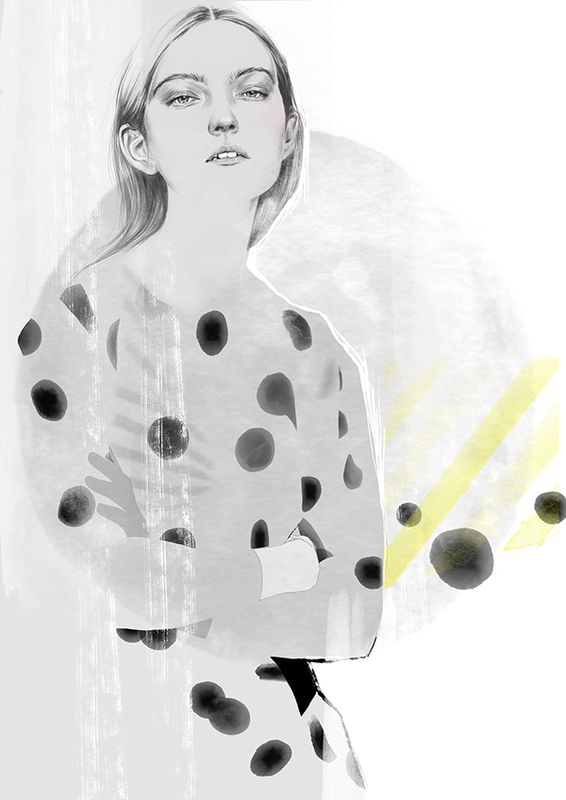 It's this focus on the line- whether created by a pencil, paintbrush or digital pen, that unifies us as artists and allows us to relate as draughtsmen, to all kinds of visual artists.' 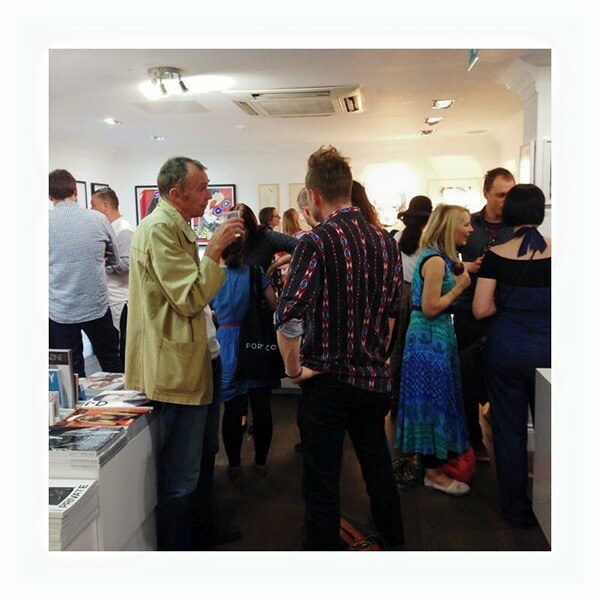 Magma bookshop and gallery- considered a designer and artist's haven for rare books, magazines and all things creative- serves as the perfect venue for this creative outpouring and will also host a series of related talks and workshops led by the featured illustrators in conjunction with the exhibition.